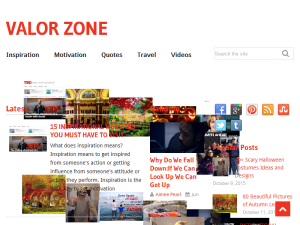 Blog Discription: A Blog about Inspirational People, Images, Videos, Celebrities, Designs, Photographs, Places, Motivational Quotes and Sayings, Poems, Motivational Speeches and all Inspirational stuff from all over the Internet that really motivates. Back to the details page? How should I rate a blog? Is there any guidelines?